All Ultimate Winery Experiences offer unique opportunities to go beyond the cellar door, to discover the secrets behind some of Australia's great wineries and to take an indepth journey into our phenomenal wine regions. From guided tastings and winery tours to masterclasses and wine blending to helicopter flights and fine dining, we've got a winery experience to suit every taste and budget. On this three day journey into the heart of winemaking at St Hugo and South Australia, you will start with a private tour of the estate with tastings of the finest old vintages and an a unique lunch experience, next you will be guided through the St Hugo food and wine philosophy as you work with the Executive Chef and Sommelier to design your own degustation dinner with matching wines. You'll enjoy a private flight over the St Hugo vineyards in the Coonawarra, Australia's most distinguished Cabernet Sauvignon region, where you will select your own vineyard row on which a permanent nameplate will be placed. You'll craft your own red wine blend, created from the finest parcels of fruit, chosen by the Chief Winemaker which, once matured, will be bottled and stored in the vault onsite for safe keeping. Finally, each year for three years you will receive a supply of your wine blend, hand delivered by a St Hugo ambassador who will host you and your friends as you toast your success and prosperity. Your Ultimate Exploration of Margaret River begins at Perth airport where your private chauffeur will be waiting to take you to your luxurious hotel for the evening, COMO The Treasury, 2016 Australian Gourmet Traveller Hotel of the Year. From there you will be collected and flown to Margaret River in a private plane and over the course of the next five days you will enjoy first class treatment at our three Margaret River Ultimate Wineries: Voyager Estate, Vasse Felix and Leeuwin Estate. 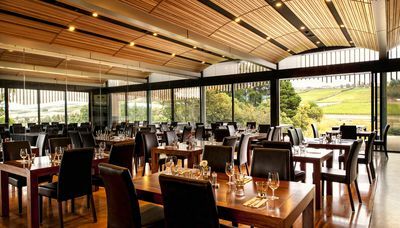 At Voyager, discover the, rarely opened for tasting, Tom Price range and single vineyard Cabernet Sauvignons from the Old and North Block followed by the famous Voyager Estate Discovery Menu. At Vasse Felix, take a tour of the region's oldest vines, participate in a food and winematching demonstration and enjoy the five course tasting menu and, at Leeuwin Estate, take a private tour of the art gallery, blend your own Margaret River wine, and enjoy a tutored wine tasting and lunch.Your experience will be capped off with a private dinner hosted by the culinary team from each winery who will take you through a collaborative menu featuring Margaret River's finest produce, accommodation at Luxury Lodges of Australia member, Cape Lodge, and a guided walk along the incredible Cape to Cape track before your private transfer by air or road back to Perth. • A private behind-the-scenes tour of the winery and vineyard guided by Moorilla’s Ambassador, or WinemakerAnd finally, the pièce de résistance: private pre-dinner drinks and oysters in the Void Bar, Mona’s lowest level, followed by a three-course feast and matched Moorilla wines in the premier private dining space – the Organ Room. On the Penfolds Twilight Tour and Luxury Degustation, take a private guided historical tour of Penfolds Magill Estate just on twilight.Your host will take you on a journey through Penfolds history including a visit to the Grange Cottage and the vintage cellar. 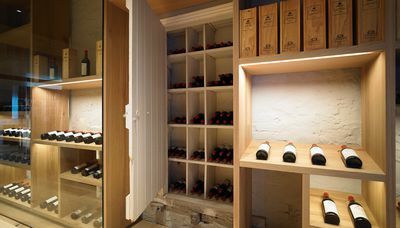 You will also experience the underground drives and see the original hiding spot of Max Schubert’s hidden Grange.Your host will then lead you to the award-winning Magill Estate Restaurant where you will enjoy a 7 course Degustation Experience. Each course is matched with a wine carefully selected by the Sommelier from our Cellar. Over seven incredible days escape in your private aircraft on an epic food and wine adventure, the High Flyers Gourmet Trail. 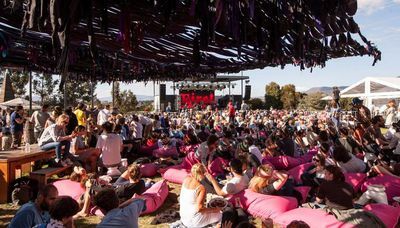 Relax as Air Adventure guides you and your senses through the ultimate in gastronomic delights across South Australia, Victoria and Tasmania. Unique encounters await you in the Barossa Valley, Adelaide Hills, McLaren Vale, Yarra Valley, Mornington Peninsula, Hobart, Freycinet Peninsula and Tamar Valley. At each stop enjoy luxury accommodation and premium beyond the cellar door experiences at our Ultimate Wineries. From a cooking class at Jacob's Creek Visitors Centre in the Barossa, to a vertical tasting at The Lane Vineyard in the Adelaide Hills to lunch overlooking the vines at Josef Chromy in the Tamar Valley near Launceston, you'll swoop from place to place experiencing the very best flavours and sights of these remarkable regions.